A $5000 reward has been posted..
How much would you offer for a reward.. to get back something that means a lot to you? A poster has been taped to a power pole along the Hume Highway offering a reward for a missing Teddy Bear. The bear is a little brown teddy bear with a light blue knitted jumper. They have completed 2 trips up the Hume highway and back looking for the bear with no luck. 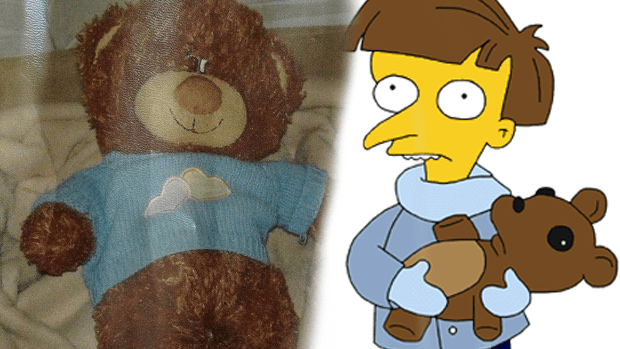 The bear share similarities with The Simpson’s Mr Burns’ teddy, Bobo.